It depicts events that happened half a century ago, but the drumbeat—and the heartbeat—of the present pounds loud and clear in Selma. Set in the weeks leading up to March 1965, it’s a moving, powerful portrait of Dr. Martin Luther King and his passionate work to turn back the toxic tide of segregation and discrimination against African-Americans, especially in the South. 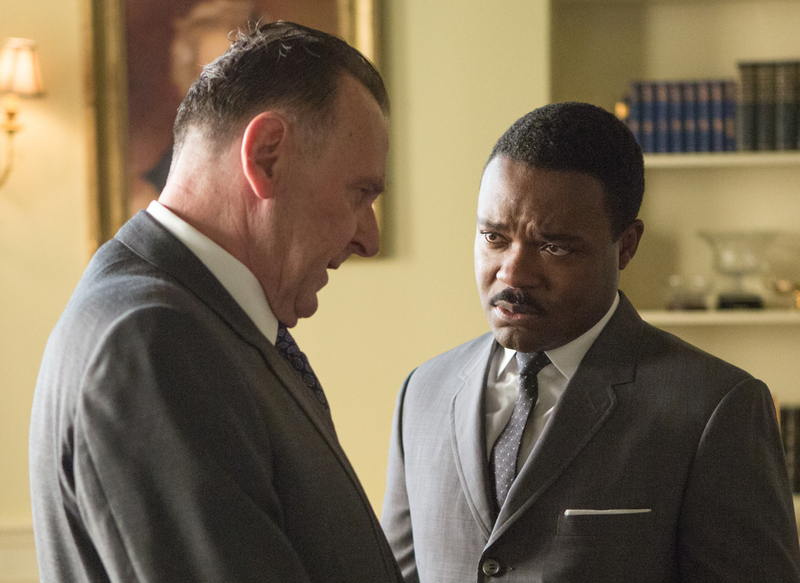 British actor David Oyelowo does a phenomenal job as King, conveying the combustive cocktail of faith, focus, outrage, diplomacy and drive that fueled his mission leading up to the “peaceful protest” marches from Selma to Montgomery, Ala., to bring national attention to voting rights. His King is no martyred saint, but a charismatic, pragmatic leader who can take sit-down meetings with the President in the White House, as well as a husband, father and family man trying to keep his own “house” from crumbling from pressures inside and out. Carmen Ejogo plays King’s wife, Coretta. 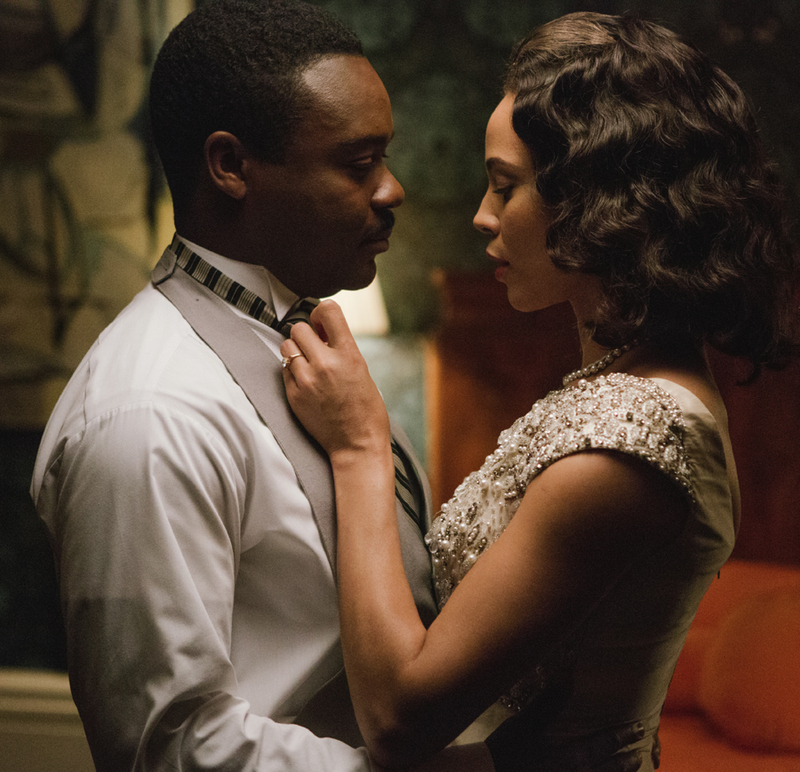 A scene in which King’s wife, Coretta (Carmen Ejogo, also terrific), confronts him over his well-known infidelities is a masterfully staged, perfectly written and expertly performed moment in which the silence becomes as important as—and even more weighty than—the words. 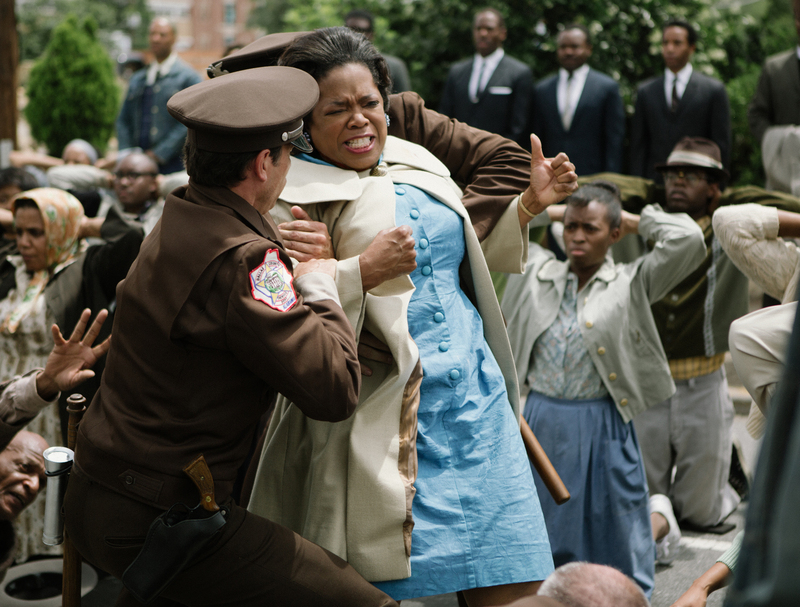 Oprah Winfrey plays a civil rights activist. The protests at the heart of the movie may have been “nonviolent,” but the event that came to be known as Bloody Sunday, March 7, was an episode of horrific, horrendous brutality, as hundreds of marchers were attacked by state and local police on the Edmund Pettus Bridge with tear gas, clubs wrapped in barbed wire, and horsewhips. Director Ava DuVernay, a former Hollywood publicist who worked her way up through the studio system via music documentaries and indie films, depicts the one-sided confrontation as a melee of swirling smoke, raining blows, sickening thuds and crumbling bodies. King is the movie’s central figure, but note that it doesn’t bear his name. It’s about more than the man; it’s about the movement he inspired. And specifically, it’s about how the crucial flashpoint of that movement came at one moment in time, in one specific place, and that place was Selma. And, appropriately, there’s a big supporting cast that helps get it there, including Tom Wilkinson as Pres. Lyndon B. Johnson; Tim Roth as Alabama Gov. George Wallace; Oprah Winfrey as activist Annie Lee Cooper; Dylan Baker as J. Edgar Hoover; Ledici Young as gospel singer Mahalia Jackson; and numerous other actors, including Martin Sheen, rapper Common, Stephen Root, Niecy Nash, Cuba Gooding Jr., Giovanni Ribisi, Andrè Holland, Stephan James and Wendell Pierce, portraying other real-life players in the drama. King meets in the White House with Pres. Lyndon Johnson (Tom Wilkinson). The filmmakers didn’t have access to King’s archive of speeches, so his orations are paraphrased—to magnificent effect. And there have been questions and quibbles about the movie’s authenticity and precise historical accuracy, especially about its portrayal of King’s relationship with L.B.J. But leave the parsing of small details to small minds. 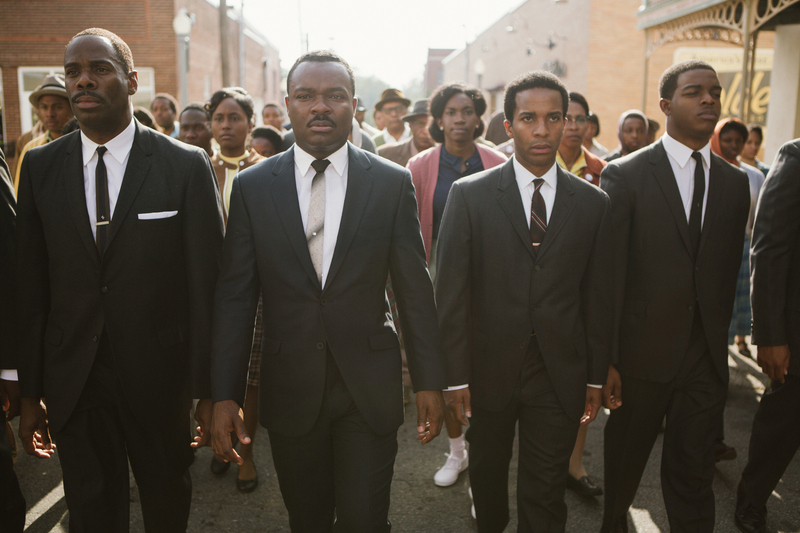 As the 50th anniversary of the events depicted in Selma approaches, this big-issue movie—with policemen beating and killing unarmed black men, streets filled with peaceful protesters, and repressive voting laws that disenfranchise minorities—feels chillingly contemporary, all too real, and monumental in more ways than one. Selma profoundly reminds us that while the marching may lead to the mountaintop, we still, sadly, haven’t fully made it there yet.